The German finance ministry believes that the International Monetary Fund will take part in Greece’s third bailout program, despite the fact that IMF reports find that the Greek debt is unsustainable. On Monday, a spokesman for the German finance ministry told Reuters that Berlin believes the Fund will participate in the program and it is too early to speak of alternative plans for Greece. On February 6 the IMF board will meet to decide on the participation of Greece’s rescue. However, the German official expressed the certainty that the IMF will eventually participate in Greece’s financial aid because it said so two years ago. “Nothing has changed about that and it’s much too early to think about “what if’,” the official said, according to Reuters. 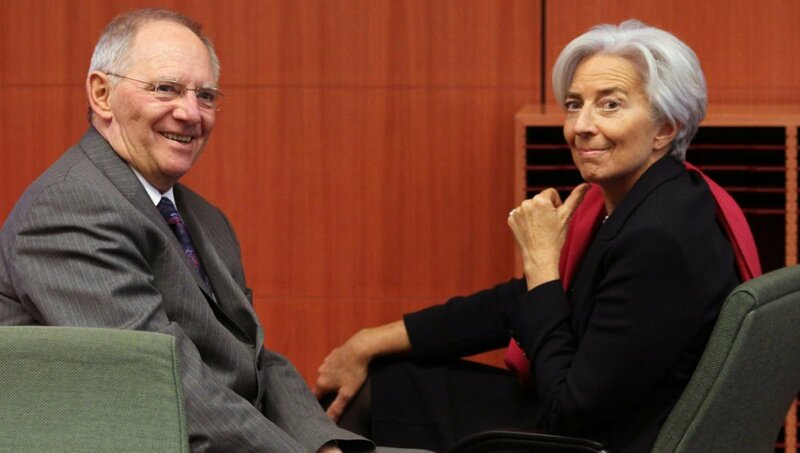 The spokesman reiterated Germany’s position that the IMF participation is a prerequisite for Greece’s bailout program. A position often expressed by German Finance Minister Wolfgang Schaeuble. Athens has complained that the IMF has extraordinary demands regarding Greece’s pension and tax systems, asking for further pension cuts and lower thresholds for tax-free incomes. Greek officials have expressed the wish that the IMF should withdraw and only European institutions remain in the program, namely the European Stability Mechanism, European Commission and European Central Bank. However, Greece’s European creditors also ask for further austerity measures in order for the country to reach its fiscal targets beyond 2018, when the current program ends. As a result, negotiations on the completion of the second review of the bailout program have stalled with the two sides not showing the willingness to compromise.